Valtellina is one of the richest mountain areas in terms of food and wine production, with an incredible variety of products, all of exquisite taste and refinement. 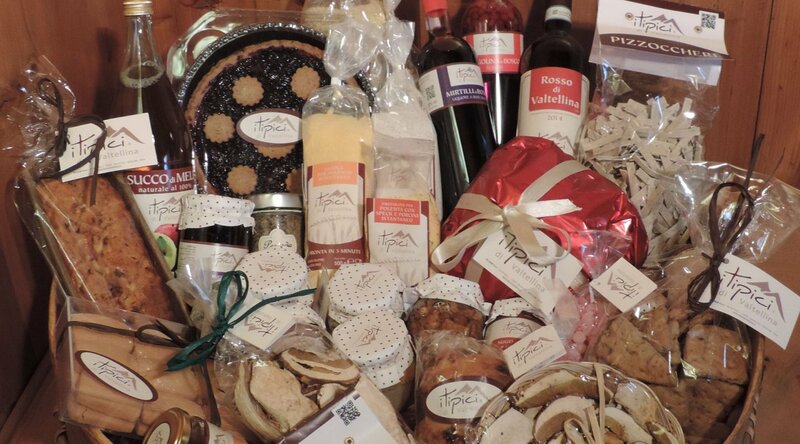 Balancing between culture and pleasure, the locals of Valtellina know how to offer an excellent selection of local products: from bisciola to cakes, from jams to honey, from rye bread to wine, from gourmet ragu to rye or buckwheat pasta, from flour products to broths. All are made with full respect for local culinary tradition by small producers, who can help you discover ancient flavours that are now disappearing. Premium quality wine and food products that fully respect the identity of the land and its tradition. Our range of pasta and flour products offers a wide range of products, from which you can pick any in the kitchen to create dishes faithful to the gastronomic culture of Valtellina, from the typical pizzoccheri to the more original “fidelin” and dumplings. This range also includes flour for polenta, cornmeal and buckwheat flour. For those who want to create a traditional dish in just 5 minutes, we propose instant polenta! The characteristic terrace cultivations of Valtellina give us the Nebbiolo grapes, used for Rosso di Valtellina, which has a moderate alcohol content and is dry, making it ideal as a table wine. Also typical mountain liquors: blueberry brandy and strawberry grappa, genepy, and bombardino (also excellent when served hot with cream). Produced exclusively with local natural ingredients, only with 100% Italian tomatoes and extra virgin olive oil. The range is made up of sauces for game (deer, roe deer, hare and wild boar), tasty sauces (bresaola and sassella, bresaola, porcini and sassella, bresaola and apples, and chanterelles and speck) and more delicate flavours (with wild nettle and juniper and wild thyme). Bisciola represents the confectionery tradition of our land. Even today, faithful to the original recipe, it is produced in a traditional way with the utmost care, using only natural and carefully selected ingredients: flour, figs, raisins, nuts, sugar, butter, egg yolk and honey. Another traditional sweet with an unmistakable flavour is Cupéta valtellinese: An energy snack that contains a tasty mixture of honey and walnuts between two wafers, ideal for a burst of taste and energy. A range of extra-fine jams produced by hand using top-quality fruit, sugar and fruit pectin. A wide choice of both classic and more typically mountain flavours. All the flavour of our forests in packages of dried porcini mushrooms, of various types (bags or wicker gift boxes) and weights. Porcini mushrooms, whole or in pieces, and chanterelles, can also be enjoyed in jars with oil. Concentrated taste and energy, straight from nature. 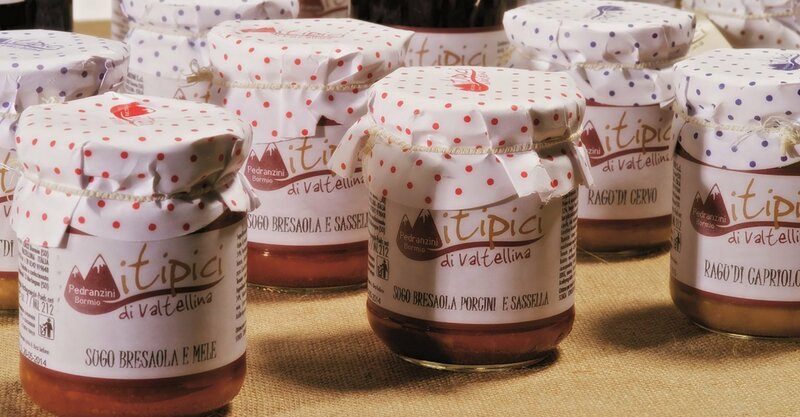 The “I TIPICI” juices contain all the healthy properties of the local fruit of Valtellina: apples, wild berries, blueberries and raspberries. The secrets of our breads’ goodness are rye flour and slow drying. Available whole or sliced, in classic tastes or flavoured with anise.